UNDER CONSTRUCTION and estimated completion date is 3/1/19. 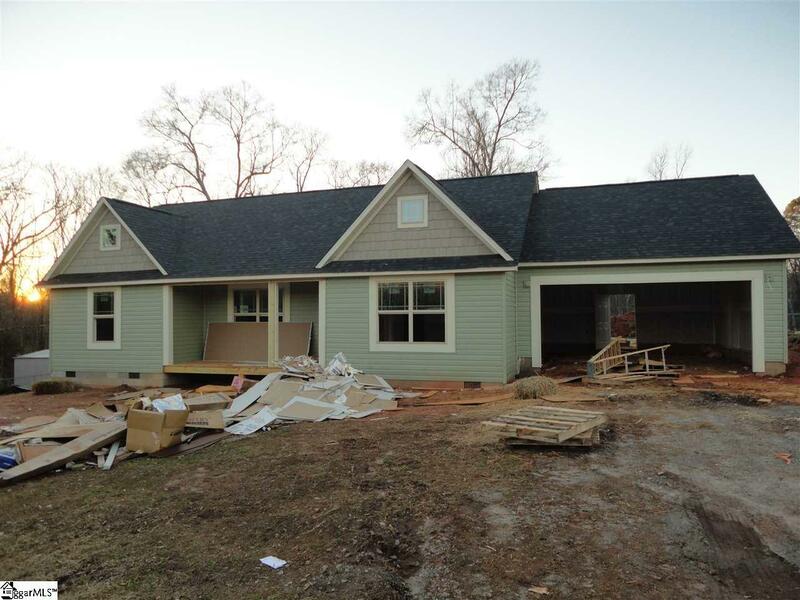 Affordability in a great split plan design make this home the perfect choice. Wonderful vaulted ceilings in the great room providing a great open feel. Three bedrooms, two bathrooms and 1,312 sq ft provide plenty of room. 1.96 acres with chain link fenced yard. Location is easy access to Greenville and Anderson for shopping and restaurants. Construction has started and completion is estimated to be by the first of March, 2019. Call me today to start your life in a new home!